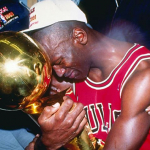 “I failed over and over in my life and that’s why I succeeded”- Michael Jordan. Usually at this point of the year I send out an email to help get people motivated for what I consider to be the start of the 2014 training season for many athletes. Most people have done their big races for the year and have been away for a much needed holiday. You might be feeling a little larger around the waistline but most importantly you are super keen and eager to start training again. Some of you will remember my fat cat article that is definitely worth reading again below which kind of summarizes how you might be feeling. “Bounce – The myth of talent and the power of practice” by Matthew Syed. Matthew was Britain’s number table tennis player. The book is absolutely fascinating and like the title of the book says it debunks a common assumption that talent is something that people are just born with. In it he brilliantly outlines his case to the contrary by looking at some of the worlds greatest sporting stars and dig deep to find out what allowed them to achieve the levels only “normal” people can dream of. You might be very surprised at what you read because these stars didn’t suddenly just have their talent at their fingertips right from the moment they were born. Ultimately they were lucky enough to be born and then raised amongst a certain set of circumstances that allowed them to become brilliant. Some of these circumstances will be how early they took up their sport, where they lived, who coached them and who they trained with and the list goes on. The parents will also have a huge impact on their child’s development. But when you look at some of the worlds most gifted starts like Tiger Woods, David Beckham, Johnny Wilkinson, Alistair & Jonathan Brownlee what you cant really appreciate is the thousand of hours they’ve practiced to get that good from an early age. This is not just practice, but purposeful practice. This is practice where you just don’t switch on to autopilot but instead have a very specific goal to achieve or improve each time you do something. In most cases the book states that it takes about 10,000 hours purposeful practice before mastery and or excellence is achieved. In no way am I suggesting that everyone needs to do 10,000 hours of work to improve but what I am suggesting is that everybody has the capacity for excellence even in a very modest way with the right mindset and training opportunities. That being said this is not an article about how to develop children in to brilliant sporting athletes. It’s about trying to help you cast aside some of the ingrained beliefs and mindsets that I see present in many athletes on a day-to-day basis. This is a common thread is see in far too many athletes, they look at other people and think they can never be as good. In doing so they’ve fallen at the first hurdle. Its what they call the “Iceberg Illusion”, when you see a huge iceberg on top of the water what you don’t realise is that two-thirds of it is actually hidden under the water. It’s the same with sport, all you see when looking at your peers or sporting greats is the gold medals, trophies and successes. What you don’t see underneath is how bloody hard they’ve all worked to get there and what you certainly don’t see is the emotional turmoil, disappointments, failures, injuries and illnesses that they had to go through to get there. “I’ve missed more than 9000 shots, I’ve lost almost 300 games. 26 times I’ve been trusted to take the game winning shot and missed” – Michael Jordan. Too many people in sport are looking for the “quick fix” or the “magic bullet”, they think there is some secrete training method that will help them to get to the top of their field without putting all of the hard work it truly requires. I will let you into a small secret, there is no quick fix and it takes time, plenty of purposeful practice, patience and resilience to get really good at something. The next time you decide to say to your coach “but I’m not getting any faster” make sure you are able to answer this question honestly – “how much training have you done in the last 12-16 weeks and have you hit all/most of your sessions ?”. If not then you shouldn’t be asking the question in the first place. They key factor in determining performance is consistency, so in that 12-16 week period if you’ve been ill, injured or taking time away or missed half of your sessions, don’t expect to be faster. A good coach will look at the bigger picture and that’s something an athlete sometimes fails to see because they live too much in the moment. A lot of what determines success in sport and other field is a persons mindset or belief system. The can be split into two categories – those who have a fixed mindset or a progressive mindset. Needless to say those people with people with fixed mindset rarely achieve the success they so desire, when you constantly tell yourself you’re not good at something you will quickly lose faith and most importantly motivation. But those athletes that have progressive positive mindsets usually end up achieving their goals, the reason being is because they don’t see failure as failure, they see it as an opportunity to succeed. They use every disappointment as an opportunity to do it better next time. If you want to be good or better then you have to believe, if you don’t believe you wont get there. If you want things to land on your lap then that wont happen either. Nothing in life is worth having if you haven’t worked hard for it and every athlete that achieves success has worked his or her fingers to the bone. These are usually the people with the most progressive mind set. If you give up at the first hurdle of the first disappointment then you might as well try something different, but if you are one of those athletes that are tenacious and don’t give up easily then you will ultimately achieve your goals. You’ve got to have gumption and plenty of it. But you also need to have motivation to back up this progressive mindset, the combination of the two is one of the most powerful reasons why some people succeed and others don’t. Motivation has to be intrinsic first and foremost, it can’t be forced on you and has to come from within. Scientific studies and the brilliant book on motivation by Dan Pink called “Drive – the surprising truth about what motivates us” go a long way to proving this theory. When people do something because it means a lot to them then it allows them to grow and flourish into the athletes they want to be. Its far better to be a process driven athlete than it is ever to be an outcome orientated athlete, if you are one of these you almost always set yourself up for failure. By process I mean the daily standards you set yourself about how you go about your business, this can cover a whole host of areas that include training session execution, consistency of effort, attitude to training, recovery, nutrition and the list goes on and on. What we are essentially looking at is the sum of the “marginal gains” that can give you that extra edge to become a better athlete. Too many athletes focus on the bigger picture when sometimes it’s the smaller pieces of the jigsaw puzzle that are just as important. One thing I can assure you of is if the marginal gains are optimized through thorough process then the outcome is likely to be a very successful one. If I find 10,000 ways something wont work, I haven’t failed. I am not discouraged, because every wrong attempt discarded is another step forward” – Thomas Edison. It’s the pursuit of excellence through purposeful practice that will determine how far you go in any sport. The question to you is how prepared are you to pursue it ? I’m not saying we all have to try to be like elite athletes because every person and their goals are different, but even in your own more modest way what can you do to get be a better athlete for the 2014 season ? Very best of luck to all for 2014 – your training starts now!